We all want the best for our children and students, and that often includes an idyllic plan for a four-year college degree and a fulfilling career. This has manifested into a “college for all” strategy that has certainly changed the psyche of students. The percentage of 10th graders who expect to earn a bachelor’s degree nearly doubled from 43% to 85% over the two decades ending in 2002. 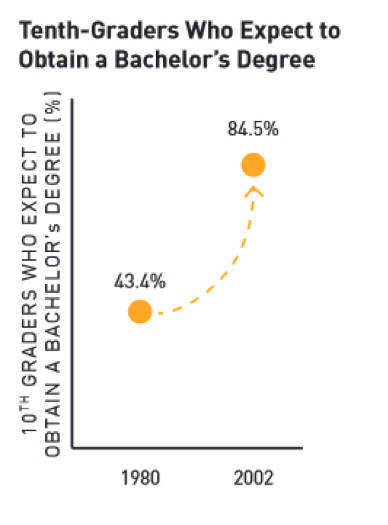 Unfortunately, this expectation is quite disconnected from reality, despite the fact that bachelor degree attainment has increased by about 10 percentage points over the past 23 years. 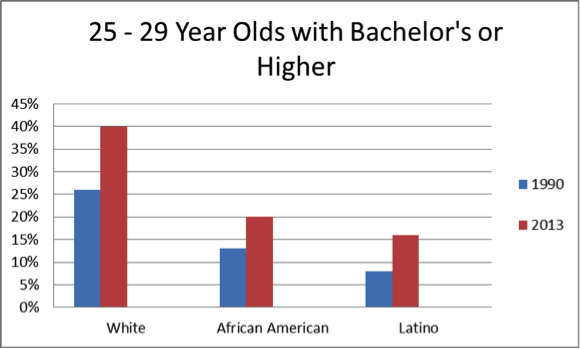 You might be surprised to know that far less than half of 25- to 29-year-olds have bachelor’s degrees. And, over the past twenty-three years, the gap between Caucasian students and African-American and Latino students has actually increased. About 40 percent of Caucasian students obtain bachelor’s degrees, compared with 20 percent of African American students and 16 percent of Latino students. This is a real problem, as according to Measure of America, median earnings are about 50 percent higher for 25- to 34-year-olds with bachelor’s degrees vs. their peers with just a high school diploma ($45,000 vs. $30,000). And, those who do not earn a diploma are even farther behind, with median earnings at $21,000. Fortunately, there are some opportunities in both the education system and in employer hiring practices that are opening up career and earnings prospects for students who might not fit the traditional four-year college track. There is promising evidence that students who take Career Technical Education (CTE) courses in high school drop out less often and actually have higher completion rates than their peers who study just the traditional high school academic track. This is particularly for true students of color. CTE is the new name for what used to be called “vocational education” and it encompasses far more than auto shop and the trades. Today’s CTE classes include animation, fire science, dental assisting, forensics and more. This study cites numerous examples of how CTE students and those earning technical certificates are out-earning their peers who are completing traditional four-year college degrees. More and more, employers are hiring for skills, not degrees. Technology, in particular, is changing so rapidly that a series of skill-based boot camps can add labor market value much more quickly than a traditional college track. Over the past two years, the state of California has provided nearly $500 million in Career Pathways Trust Grants specifically focused on developing CTE programs and pathways, primarily for grades 8-14. In May, four Silicon Valley education consortia received over $30 million in similar funding. 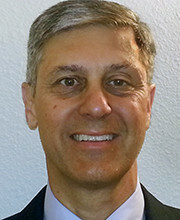 This funding was announced by Tom Torlakson, the State Superintendent of Public Schools, during a visit to Silicon Valley Career Technical Education (SVCTE). This school is a hidden gem in San Jose, drawing 1700 students per day from 17 different high schools. These students attend a focused career training class for 3 hours each day for a full year, while also taking “English, math and history” at their home high school each day. I absolutely encourage you to learn more about how Career Technical Education is serving students. A great place to start is reviewing the SVCTE website and scheduling a visit for you and your student.